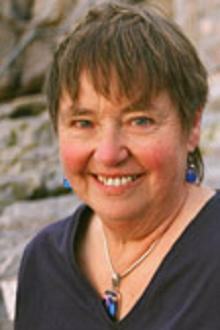 Born in Australia, Sheila Cassidy came to the UK in 1963 to complete her medical training. She wanted to become a plastic surgeon but couldn’t keep up with the 90-hour week, so she went to practise medicine in Chile during the government of Salvador Allende. In 1975, she was caught up in the violence of the Pinochet regime. She gave medical care to a political opponent of the new regime who was being sought by the police. As a result, she was herself arrested by the Chilean secret police, the DINA, and kept in custody without trial. During the early part of her custody, she was severely tortured in the notorious Villa Grimaldi near Santiago, Chile, in order to force her to disclose information about her patient and her other contacts. Sheila describes this experience in her book Audacity to Believe. After a period of recovery from the physical and psychological effects of her ordeal (during which she briefly became a nun , Cassidy continued to practise. In 1982 she became Medical Director of the new St Luke’s Hospice in Plymouth, a position which she held for 15 years. She then went on to set up a palliative care service for the Plymouth hospitals. Her book Sharing the Darkness, from which the passage in this session is taken, is about the nature and cost of Christian discipleship in the front line of caring. In it she draws on her experience in Plymiouth of working with terminally ill cancer patients. Her book Good Friday People relates the experience of Christ going to the cross to more recent examples of people going through suffering and offers encouragement to all who stand by such people today. With thanks to Wikipedia for some of this information and for the links.